I never get tired of eating Goi. There are so many varieties you can choose from and very simple to make. I love experimenting with goi recipes because you can pretty much turn most vegetables into a goi. Goi consist of vegetables/fruits, meat/fish, a sauce, some kind of acid, and herbs. 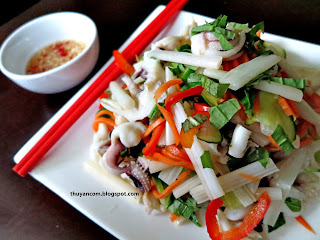 I added squid to this version of Goi Ngo Sen, the chewy squid together with crispy lotus roots is a must try. Enjoy! 1. Rinse the lotus rootlets and shave thinly. The best way is to use a vegetables peeler and shave the rootlets the long way, this way all the pieces will be the same size. 3. Cut cucumber in half the long way, remove seeds. Sliced cucumber thinly the short way, again you can use the peeler. 4. 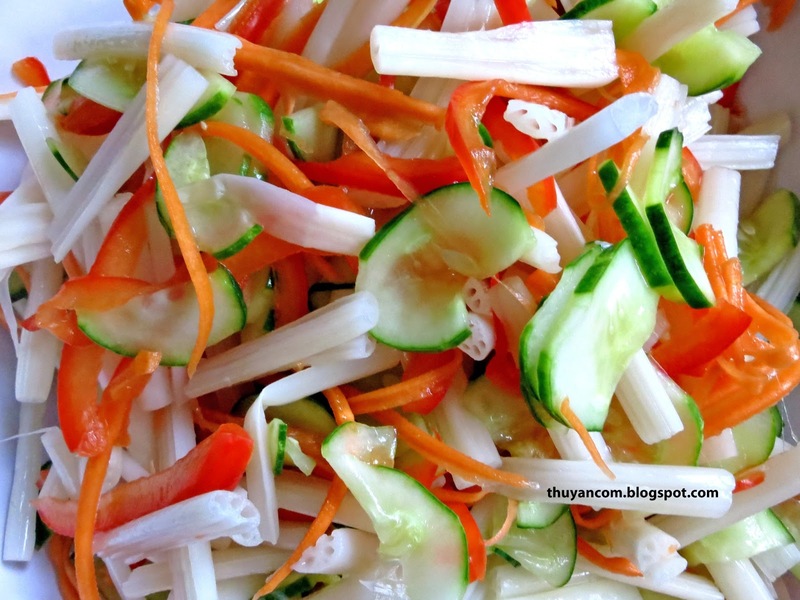 Combine lotus rootlets, carrots, cucumber, salt, sugar, and vinegar. Mix together and let marinade for an hour in the fridge. 6. Take vegetables mixture out of the fridge. Squeeze out 80% of the liquid absorb from vegetables and set aside. 7. Wash and rough chop the basil leaves. 8. Wash and slice chillies. 1. Put your vegetable mixture in a large bowl. Add fish sauce, lime, and chillies and mix thoroughly. 2. 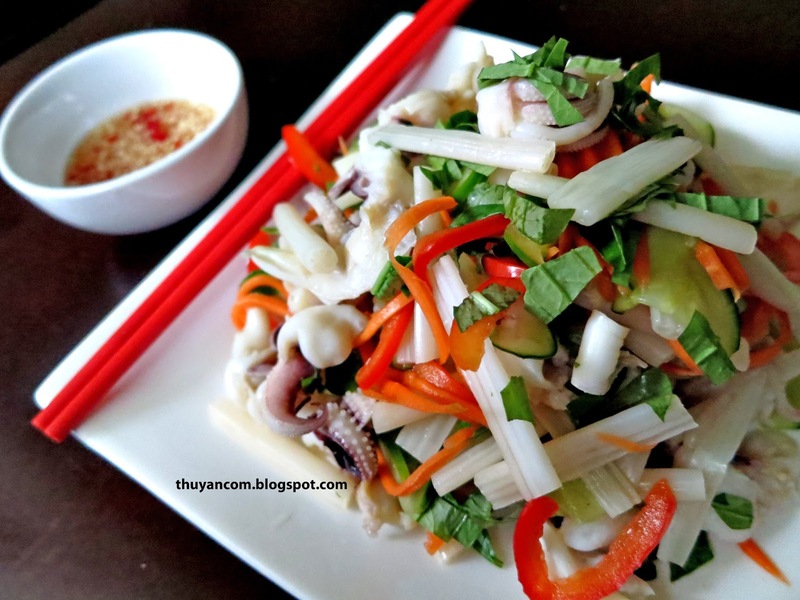 Toss in the squid strips and and mix. Add additional fish sauce and lime if needed. 3. Toss in the basil leaves right before serving.